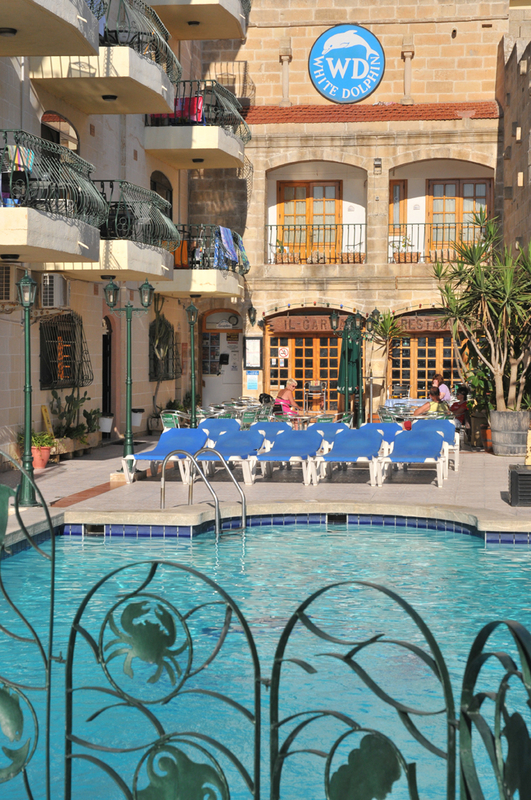 Built around a traditional courtyard, the White Dolphin Holiday Complex is a small and charming family-run complex which is centrally located and accompanied by stunning views of Qawra Bay. 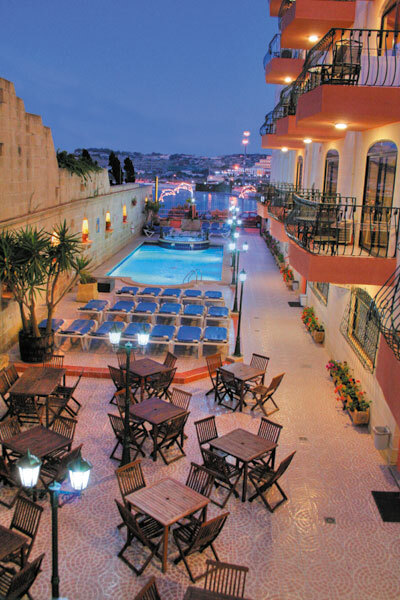 The surroundings of the area will provide a pleasant and surprisingly stay at the Maltese Islands and White Dolphin Complex. 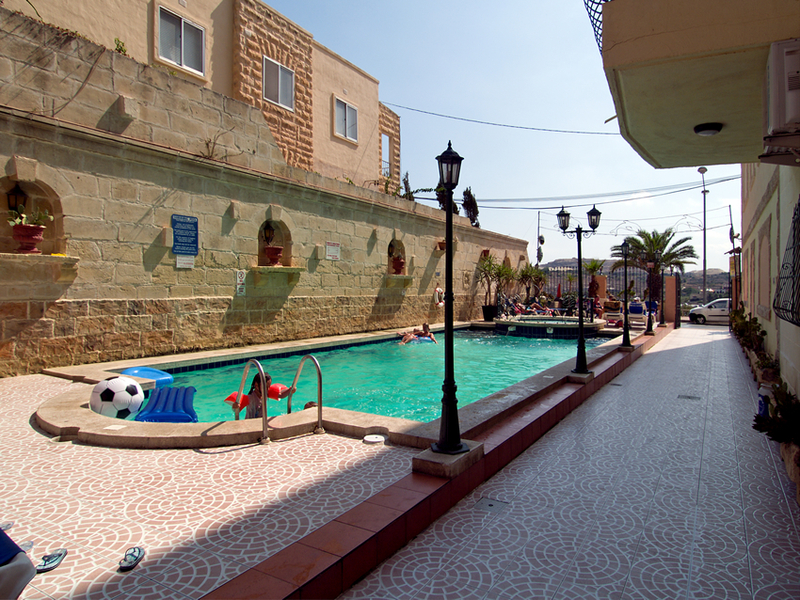 The complex is complimented with warm and friendly staff who create a relaxing atmosphere for couples, friends and families. Attracting a wide range of guests, the White Dolphin Holiday Complex is ideal for those seeking a lively holiday yet also appeals to anyone looking for a quieter break outside of high season. 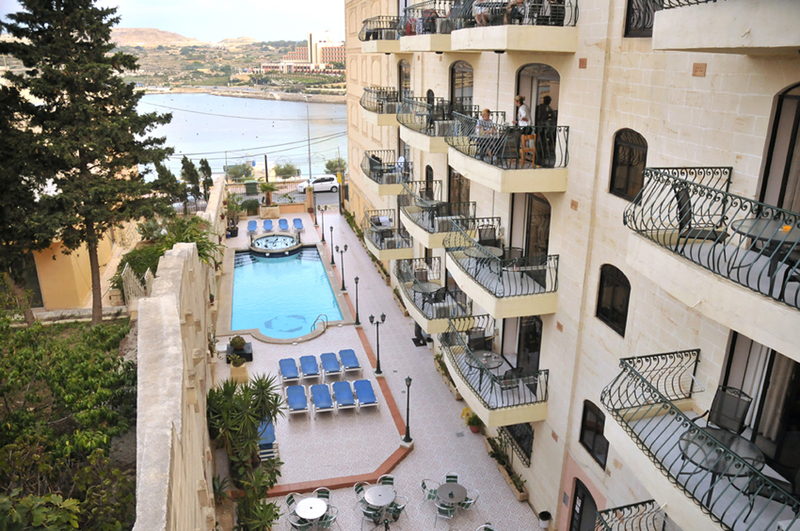 The Holiday Complex is within walking distance of bars, restaurants and a bus terminus, providing a great base for exploring the island. 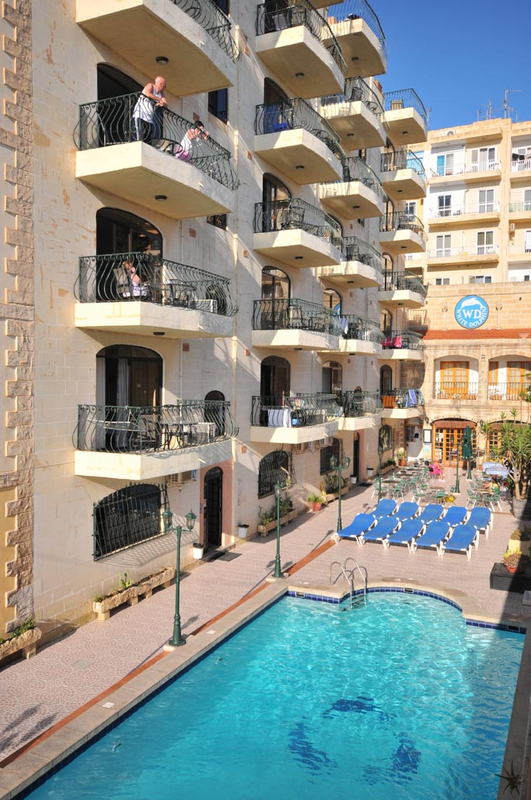 Currently offering 49 self catering apartments, of which there are 21 Studios, 20 One Bedroom, 4 Two Bedroom and 4 Penthouses. All apartments are strictly No Smoking. All Apartments have a self-controlled air-condition units and enjoy WiFi connections (at a charge). An outdoor seawater pool is available from April to October (weather permitting). 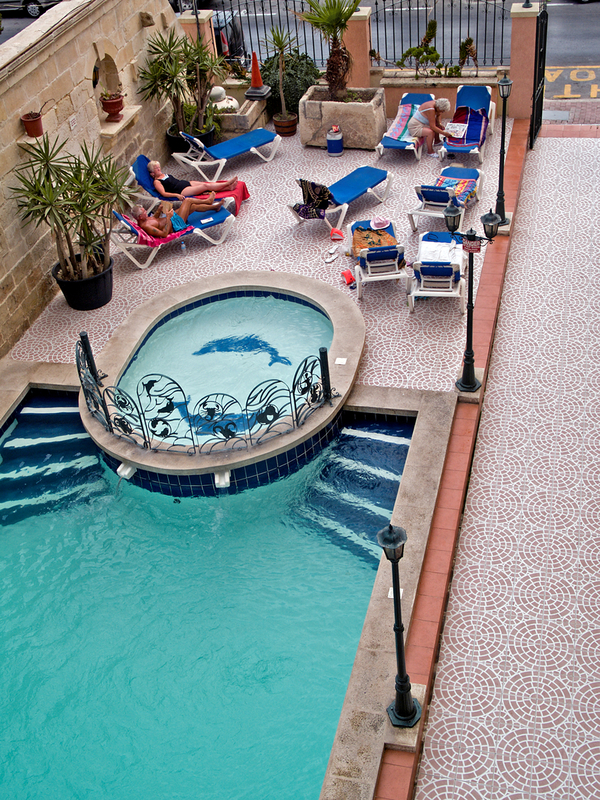 Sunbeds are provided free of charge on a first come first serve basis by the pool deck. Opening hours are from 0900hrs - 1800hrs. No swimming is allowed outside these times since the pool is treated with approved chemicals during this period. Recommended Sunblock Lotion is of Factor 40+. A modern courtesy room/lounge with TV and internet service is available. Showers and Toilets are also found in the same area. Towels are available at reception free of charge. A luggage room is situated next to the reception, which is unattended. The Management is not liable for missing or misplaced luggage or items. A mini-library can be found in the courtesy room with a good choice of English books by various authors. Our library is continuously growing by generous guests who donate their books at the end of their holiday. Parking facilites are provided free of charge next to the outdoor gate on both sides of the road.